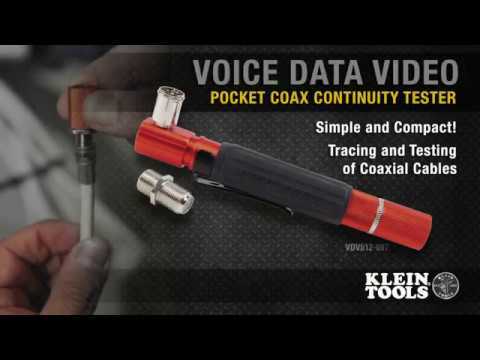 Quickly trace coaxial cable with this pocket-sized toner. Identify and test for continuity and short faults via audible beep and LED indicators. Remote beeps loudly to confirm continuity. LED lights green for continuity and red for shorts. F-adapter enables testing of loose cables and installed cable runs. Tester switches off when remote is docked to save battery life. Battery included.